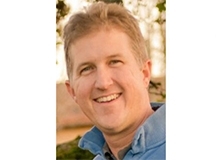 Submitted by John Brokaw and Kent Martins || Valin Corp. 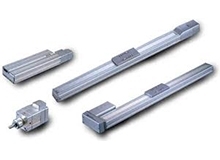 Engineers building linear-motion systems can use ground-up DIY approaches or purchase complete turnkey solutions. Here we explain where each tactic is most profitable. Though the lines can often be blurred, robotics and motion control are not the same thing. 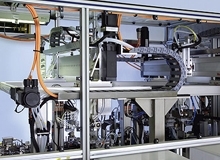 They are closely related in many ways, but robots lean towards more “pre-engineered” solutions while motion control leans towards more modular solutions. Before deciding to install a robot or motion control component, these are ten questions to ask yourself. 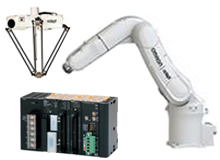 Robotics can be narrowed down to five types: Cartesian, Cylindrical, SCARA, 6-Axis and Delta. 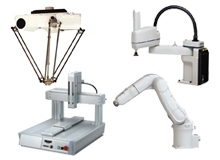 Each robotic type has specific elements that make them best-suited for different applications. The main differentiators among them are their speed, size and workspace. Knowledge of each type can help machine designers choose the best robot for their process. 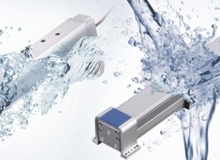 The latest developments in servo technology allow for the benefits of high-performance motion control to be used in harsh environments. We think of routine care and maintenance of a system to stave off failures as standard practice, but what about preventive maintenance of the replacement parts used when the system does fail? 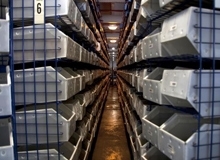 Using lean principles in manufacturing is an important element when trying to reduce waste, control costs and ensure timely deliveries to customers. 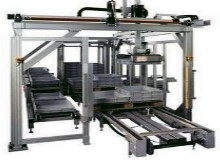 However, this concept of trimming back unnecessary work and reaping the production benefits can also be applied at an individual level in production lines or assembly rooms. Employing flexible automation technology now is vital for companies to sustain growth, keep a diverse range of products flowing through their lines, and minimize downtime with product changeovers. 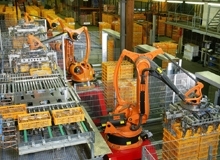 Advances in industrial technology and the overall evolution of automation over the past century have been unprecedented. Inside of plants today, AC motors are becoming the industry standard. Many plants are shifting to AC motors from hydraulic motors and in some cases DC motors when powering heavy loads, which were more popular in the past. This shift can be attributed to a variety of reasons and most have to do with cost. 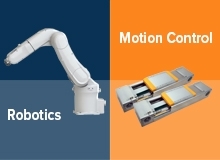 Motion Control vs. Robotics – What’s the Right Choice for Your Application? For automation applications, one of the larger misconceptions in the industry today is that when someone uses the phrase “motion control,” they can just as easily use the term “robotics,” as if the two are interchangeable. Click on the "Read More" button below to read the full article featured in Product Design and Development Magazine. 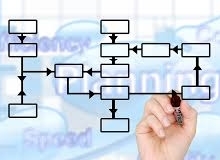 Process automation is the term most used when talking about computer technology paired with software specifically engineered to help industrial plants or factories operate more efficiently and safely. 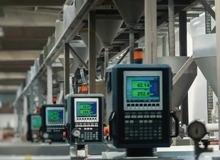 Before process automation was implemented, individuals would have to physically monitor the components and outputs of a plant or factory. 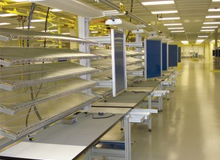 Valin’s aluminum framing systems are being used in cleanroom environments to overcome many of the disadvantages associated with traditional painted steel shelving systems. 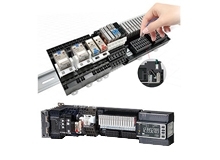 An extensive range of Panel Builder products feature time-saving, Push-In Plus terminals and reduced mounting depth and volume to fit smaller control panels. 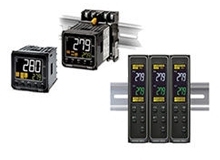 Omron now offers FM Approved Temperature Limit Controllers in three E5_C series formats that help protect processes against runaway heating or cooling systems. 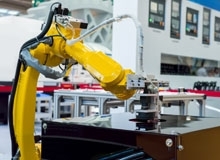 As electronics and technologies become smaller and more intricate, manufacturing engineers are running into new challenges in automating manufacturing processes. 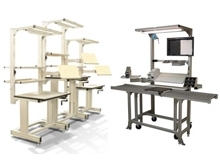 The challenges of manufacturing new products extend beyond the capabilities of precise motion control mechanics to include the control of environmental factors. What Products Survive Repeated High Pressure Washdown You Ask? IP69K Rated Ones! 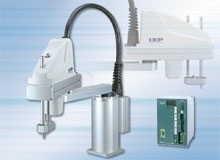 Omron has been providing automation solutions for more than 80 years. Their washdown rated products and extreme washdown products in the IP69k protection class help you deliver safer solutions to your customers. 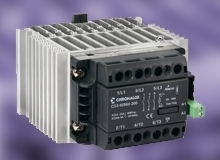 The Chromalox CS Series of solid state relays are an ideal, low-cost power control solution for rapidly and precisely switching resistive loads found in industrial applications such as furnaces, ovens, heat treating, injection molding, thermoforming, press platens, commercial food equipment, semiconductor, lighting and drying, just to name a few. Workplace safety is—or should be—a primary focus of every organization, regardless of whether we’re talking about a classroom, an office, a manufacturing facility, or an oil rig. Employees deserve a workspace that is as safe and secure as it can possibly be. 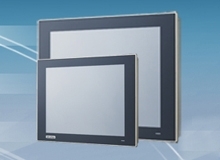 Advantech’s new 12.1” and 15” TPC-1251T/1551T touch panel computers are the latest of their type to use the Intel® Atom™ E3827 1.75 GHz Processor and to feature the much heralded iDoor Technology, a truly flat screen and a multitude of I/O ports while being able to operate in a wide range of temperatures. 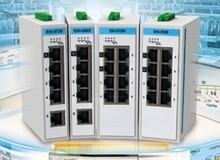 Advantech ProView Ethernet Switch is a SCADA manageable switches which are the convergence switches for process control and IT networking management. 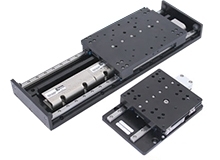 Meet Parker's new mSR (miniature square rail) linear motor positioner. 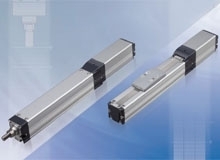 The mSR integrates dual square rails for guidance, with one of two different linear motor technologies, and up to six different encoder technologies. Patlite innovation continues with improved functionality to drive productivity, improve efficiencies, and reduce waste. One of their basic themes is to help you make continuous improvements in your process. 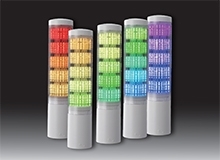 With that in mind, Patlite recently introduced the REVOLITE LA6 multi-informational signal tower. Trying to size and space the electrical components before the mechanics are defined can lead to wasted time and rework. 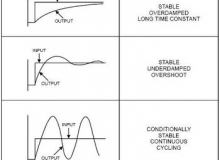 Advice follows on using proportional-integral-derivative (PID) tuning for motion control and robotics. High-end robotics with high dynamics and reasonably high accuracy of movement almost always require the use of these control algorithms for operation. 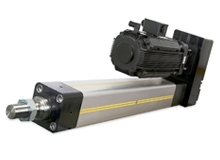 IAI's new IXP Series Robots cost around 1/2 of that of a conventional model due to the adoption of the pulse motors. The IXP achieves a payload equivalent to that of a conventional model by adopting high-output drivers. 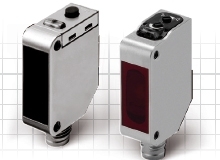 All IXP models come standard with battery-less absolute encoders. 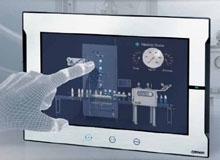 An HMI that is expressive, intuitive, and easy to implement makes industrial machines more attractive and competitive. 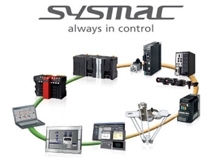 The Omron Sysmac NA Series HMI enables faster, more efficient control and monitoring - and a more natural relationship between operator and machine. 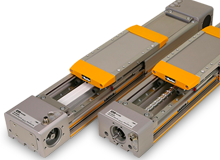 With air cylinders, a compressor is operated with electricity to generate compressed air, and generated air is supplied though a line to the air cylinder where it is then converted to linear-motion force. This mechanism is subject to significant energy loss. 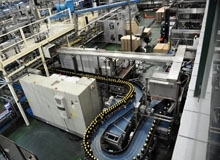 As the automation and motion control needs of industries using control and drive functions continue to change and progress, the technology that meets those needs must adapt to the growing demand for connectivity, accessibility, and efficiency, all while maintaining a high level of quality and durability. 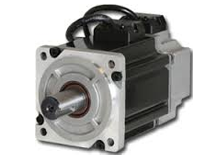 When using a servo motor, one should consider torque, speed, and other applications for a specific motion control application. Standard practices today simply use human machine interfaces (HMI) as windows into a system by allowing some information to be passed back and forth through those windows. This method anticipates the user having the knowledge to use that information both in and out of the system. The future of the petrochemical refining industry will be driven by human-machine interfaces (HMIs) pushing information to where it is needed. 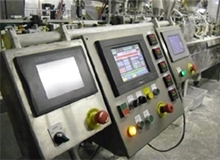 An HMI that pushes production, quality and alarm information to the right level of user or management anywhere in the world has the ability to increase the visibility and reaction time. Advanced Process Control (APC) methods used to be so advanced as to be esoteric- too complex and unusable except by a few high-level experts. Today, however, it seems APC is little talked about for an entirely different reason: It’s become a commodity.